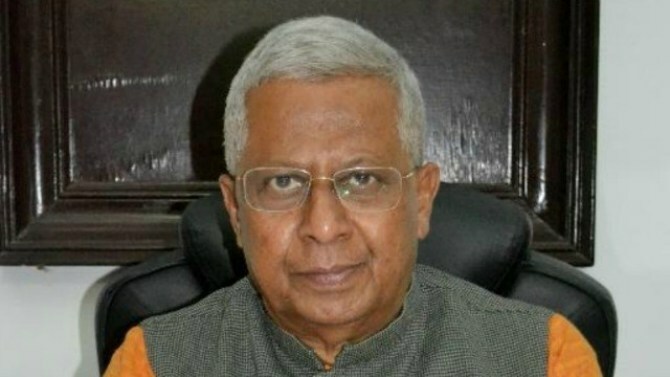 Meghalaya Governor Tathagata Roy will not get to hold a session on his book ‘Bharatkeshari Yugpurush Shyamaprasad’ at the Kolkata International Book Fair. The authorities of the fair had not given a clear reason while cancelling Roy’s proposal, reports TOI. Roy had earlier requested the Publishers and Booksellers Guild for a slot on February 4 for the session on the book in the main auditorium. The guild though had initially agreed verbally, but later told Roy’s ADC R S Pathaniya that the slot had been given to the environment department for an event. The Meghalaya Governor said that he had spoken with the guild secretary to book his slot. He also said that the guild secretary had now cancelled his request though he had earlier promised to give him the slot. Roy also added that he had decided to visit the fair on February 4 and stay for some time to sign books and interact with readers. However, a guild source said that Roy had made a verbal request earlier and the request was for the release of the book and he had not mentioned about book reading, debate or discussion. However, the guild later came to know that the book had already been released on January 3. The guild source also added that since Roy had not sent any written request, the authorities thought he might not need the slot anymore and thereby cancelled it. The book ‘Bharatkeshari Yugpurush Shyamaprasad’, written by the Meghalaya governor, is based on the biography of Syama Prasad Mukherjee who had served as Minister for Industry and Supply in Prime Minister Jawaharlal Nehru’s cabinet.